Head Lights, Tail Lights, Corner Lights, Bumper Lights, Plastic Welding, Lens Refurbishing, Repairs to LED lights, repairs to headlight adjusters and drying out of headlights. We have a huge range of lights in stock at our Christchurch location. At AUTOlights we specialise in New and Used Automotive Lights ranging from Head Lights to Corner Lights to Tail Lights to Bumper Lights. We also have a plastic welder on site, so we can repair your light that may have just a broken lug or cracked backing quickly and efficiently, in many cases while you wait. 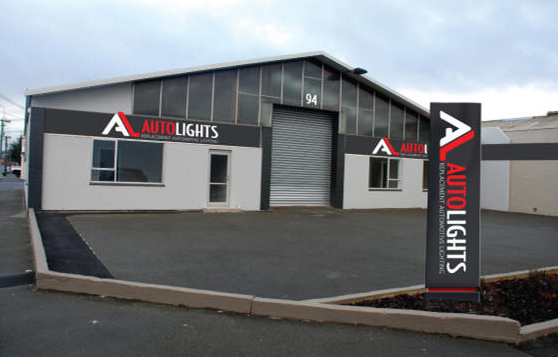 Autolights specialise in most things in automotive lights. "They were so helpful. Only charged me for the light, then fitted it and tested it! Also checked for a fault that came up on the WOF with no extra charge. Service was prompt and friendly." "Friendly and most helpful. Thanks for the laugh Tony." "Fantastic service, fixed my light quickly and with no fuss! Tony is a great guy, lovely to chat to and he gave good advice on were to go to sort the rest of the issues with my car. 10/10"
"Great service, very quick and all for a very reasonable price." "Fantastic service. Quick, far from expensive, and they also bent my bumper back into shape while the light was being replaced. Definitely recommend the team at Autolights"
"Super stoked with these guys, went to a few places to get a main bulb holder to no avail... There less than 10mins with part and bulb fitted, without costing me an arm or leg. Couldn't be happier, cheers!!" "Awesome staff. Tony gives pro advice. Will be going back in the future. Top work"
Copyright Autolights Ltd © | Website by EZ web.